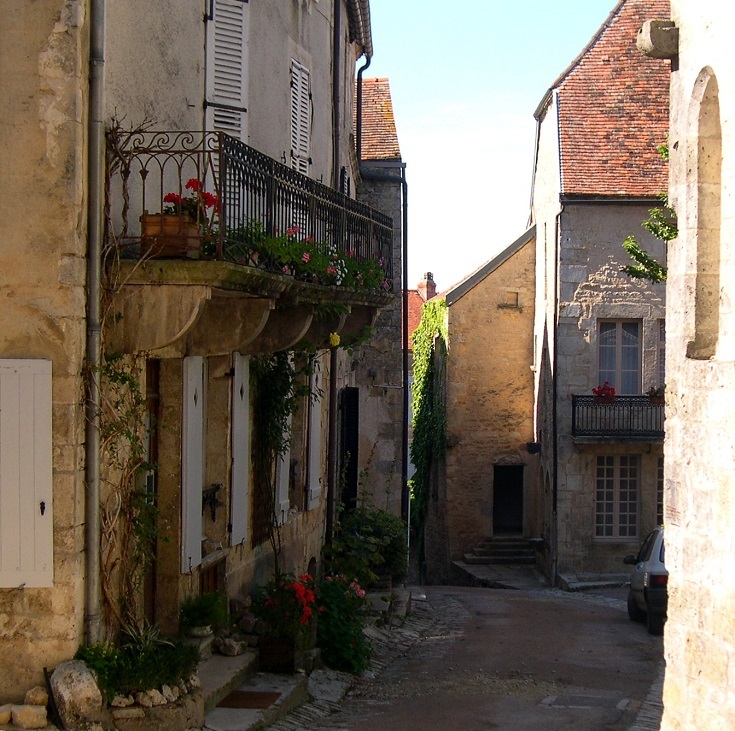 One of the loveliest of France’s most beautiful villages, Flavigny-sur-Ozerain is perhaps best known as the setting for the film Chocolat starring Juliette Binoche and Johnny Depp. In ‘real life’ though, the village is famous, not for chocolate, but for aniseed lollies. Lolly production takes place in the abbey, built in the eighth century for the Benedictine monks. The same recipe has been in use since the sixteenth century but today the lollies are available in a wide variety of flavours. The abbey and lolly production line are open to the public on weekday mornings or you can visit the lolly shop Anis de Flavigny—but check the website as opening hours for the shop and the abbey vary throughout the year. Below the abbey, crypts from the Carolingian time (ninth century) can also be visited and are open in the morning and afternoon. If you have seen the movie Chocolat, you will no doubt want to visit the parish church of Saint-Genest. Although this church is more than nine hundred years old, there is very much a sense of a church well-used and well-loved by the local community. On both sides, stairs lead up to a gallery where you can sit quietly, undisturbed, and contemplate all that these walls have seen over the last nine hundred years. 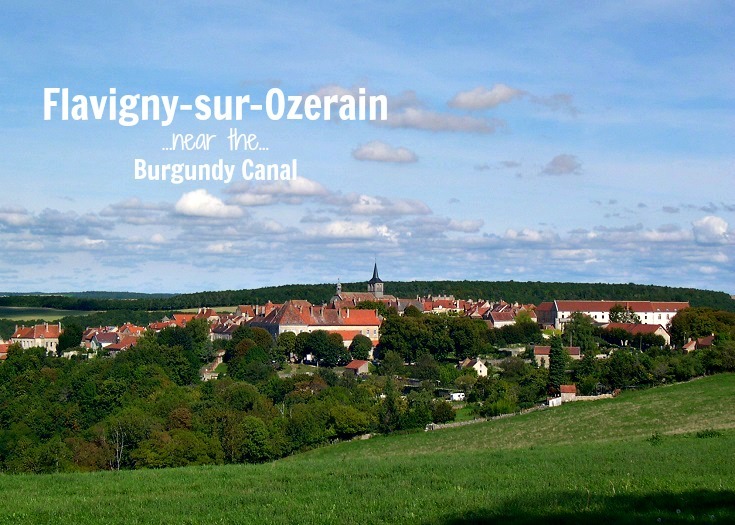 If you are walking along the Burgundy Canal, Flavigny-sur-Ozerain can be reached using the shuttle bus from Montbard. However, the first shuttle bus arrives in Flavigny-sur-Ozerain at 11h40 which only leaves you 20 minutes to visit the abbey before it closes for lunch. A better option may be to take a taxi from further along the canal at Venarey-les-Laumes or Pouillenay. There is no Tourist Office in Flavigny-sur-Ozerain but you’ll find helpful staff at Société des Amis de la Cité de Flavigny at Maison au Donataire on Rue de l’Église. Opening hours are listed here. 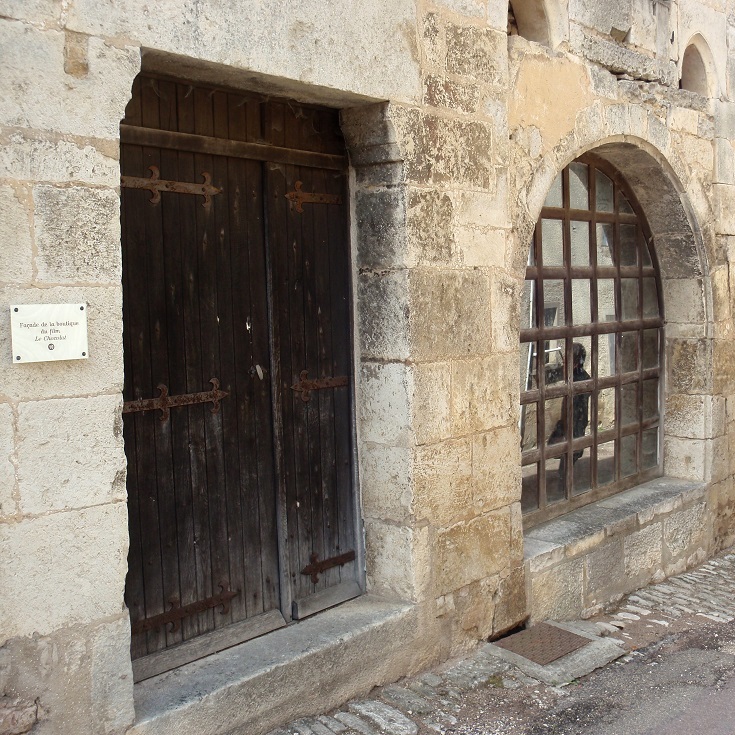 The first time I visited Flavigny-sur-Ozerain, it was a glorious summer day, the cafés were open, the village was buzzing and I fell in love with its charm and sense of history. 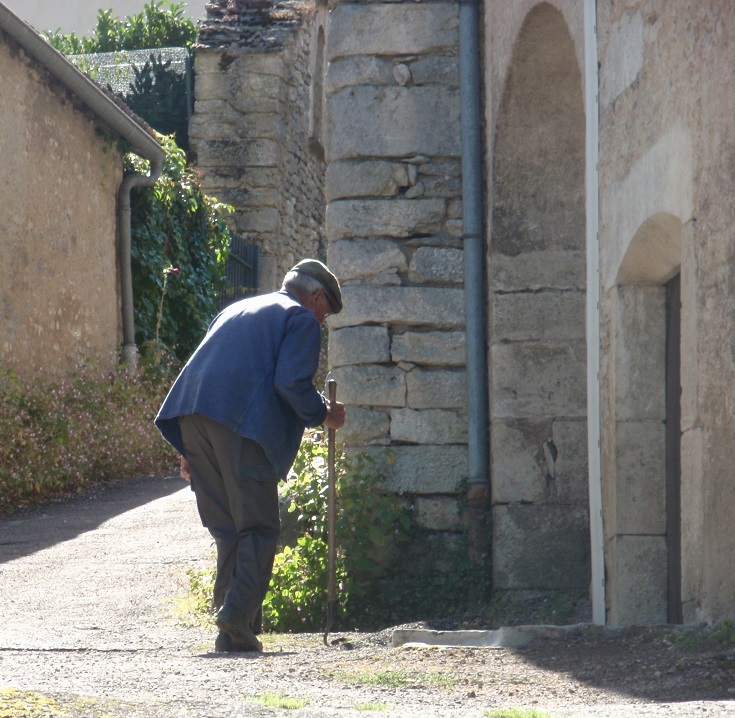 When I returned with friends some years later on a cold, gloomy, windy day in September, the cafés were closed and except for a few customers in the aniseed lolly shop, the village seemed deserted – it was a completely different experience. 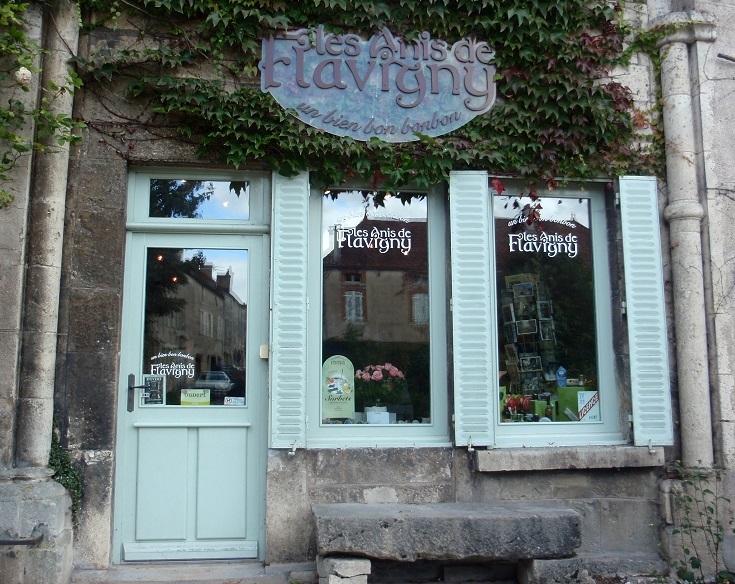 There are two restaurants in Flavigny-sur-Ozerain which, according to their websites, are open every day except Monday from Easter until the end of October. If you are counting on having lunch during your visit, I recommend phoning ahead to check they will be open and to make reservation.